Deputy mayor expresses hope that higher taxes will make overseas owners think twice about leaving Jerusalem homes empty. Deputy Mayor of Jerusalem Dov Kalmanovich (Jewish Home) has welcomed new regulations that will double city tax on apartments that are left empty for most of the year. The new regulation is particularly meaningful in Jerusalem, where there are roughly 11,000 apartments that remain empty for all but two weeks a year, he explained. Most such apartments are owned by Jews living overseas who only visit Jerusalem for the holidays. 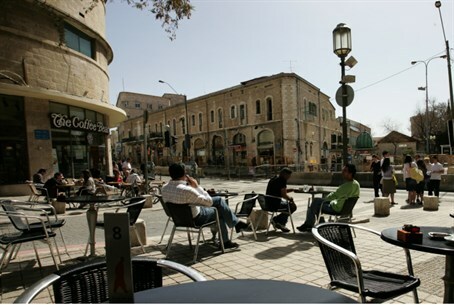 The decision to increase taxes could help young adults in Jerusalem, he said. “A lot of people around the world have concluded that it pays to own an apartment in Jerusalem and pay tax on it even though they aren’t living in it. Now they’ll have to think twice,” he predicted. Under the new regulations, apartments will be considered “empty” if they were not used as a residence for at least 9 months over the course of the year.